The possibility to highlight text of ebooks offers you the way to never lose important text out of your sign. Another important feature of the text highlighting is the ability to access it fast and hassle-free. 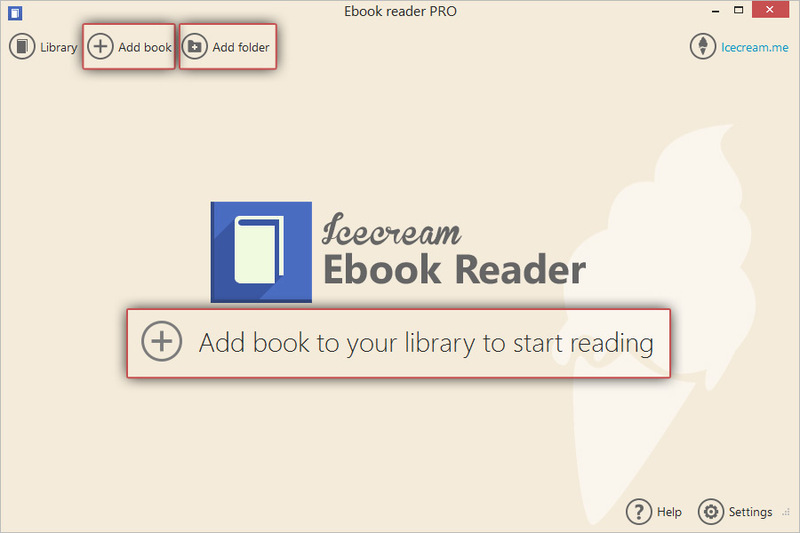 Icecream Ebook Reader is an ebook reader that offer the feature to highlight selected text in ebooks of ePub, MOBI and FB2 format easily. Find a step-by-step guide on how to highlight the text right below. Download Icecream Ebook Reader and install its latest version from our website. The software is virus free and doesn't offer to install any hidden add-ons or malware. Complete the setup by following the installation Wizard's instructions. In general the whole process takes up to several minutes. 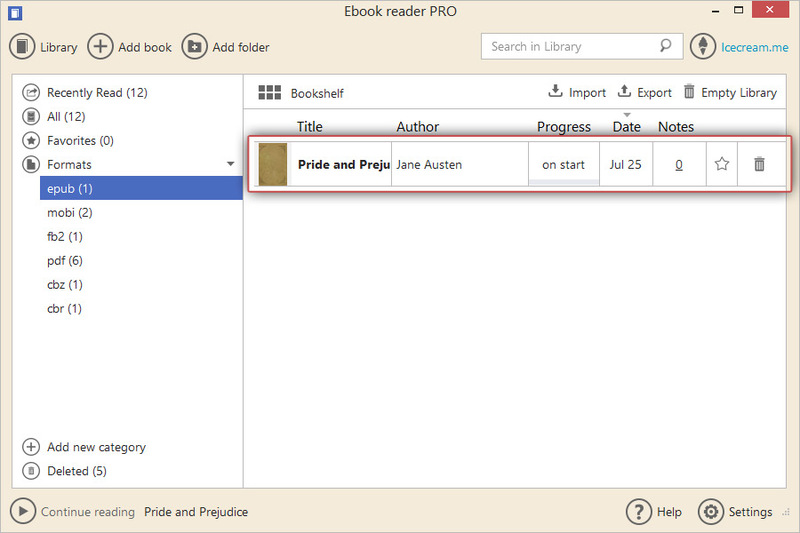 Click the “Add book to your library to start reading” button in the center of the program's main window or the “Add book” button in the upper left hand side of the program's window to open Windows Explorer and find the file to be added on your computer. The files of the formats supported by the program will be automatically shown in the Windows Explorer. Drag and drop mechanism will also do the trick – drag and drop the ebook file you want to add to the program's Library into the main window. Double click the ebook's name in the Library if it's in the Table view or the book's thumbnail if the Library is in Bookshelf view to open the book in the reading mode. 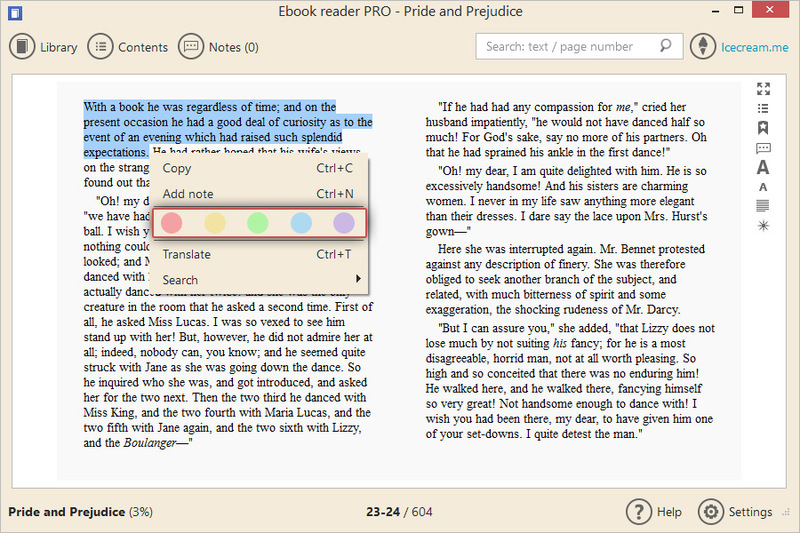 Open the needed part of the ebook file with the text that you wish to highlight. Hover the mouse cursor over at the beginning of the text, hold the left mouse button and hover the mouse cursor over to the end of the text that should be highlighted. As soon as you properly selected the text you can release the left button of the mouse which will automatically open the text's context menu. Pay attention at red, yellow, green, blue and purple circles right in the middle of the context menu. These circles stand for the colors of the highlighting that you can apply to the selected text. Click the preferred circle to highlight the text with the corresponding color. When it's done, the text highlighting will be added to the selected text of your ePub, MOBI or FB2 book. 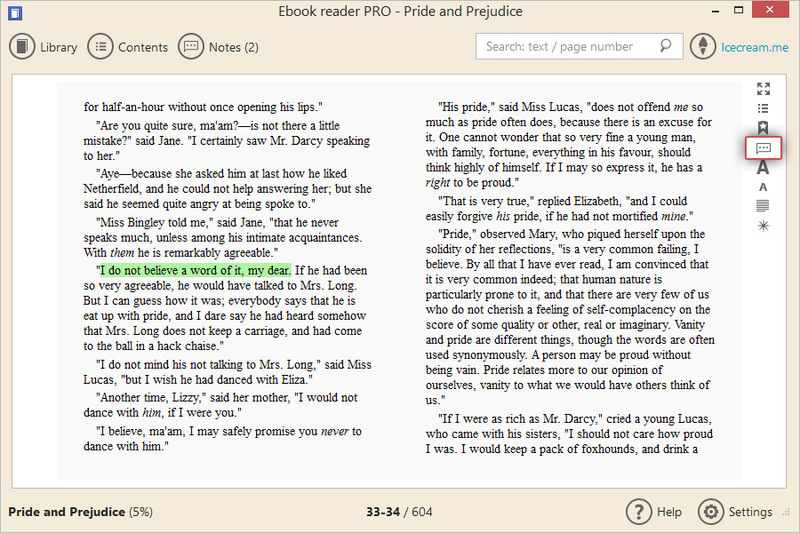 All the added highlighting of a book can be accessed through the Notes panel of the book.